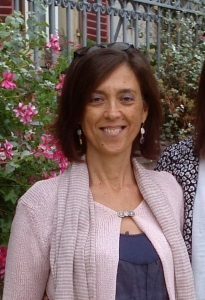 Alba L’Astorina works at the Institute for Remote Sensing of the Environment (IREA) of the Italian National Research Council (CNR), in Milano, where she coordinates outreach and education activities within national and international projects. 2006 she co-founded the CNR Research Unit “Social Studies on Science, Communication and Education” whose aim is to investigate the major issues concerning the relationship between science and society, such as: science communication; public engagement of researchers in outreach activities; innovative models for involving the public in the production and sharing of knowledge; science education. Her specific topic of interest are public engagement; innovative and participatory relationships between experts and not-experts, Responsible Research and Innovation (RRI), Citizen Science. She teaches Science Communication in Theory and in Practice within PHD courses at the University of Milano Bicocca, Open University, University of Caserta.